Gemma is a Lecturer within the School of Nursing and Midwifery. Gemma has worked as a registered nurse for over 10years. She has experience in general medical/ surgical care prior to specialising in anaesthetic nursing within the tertiary hospital setting. Registered with Australian Health Practitioner Regulation Agency. Doctor of Philosophy, Edith Cowan University, 2017. 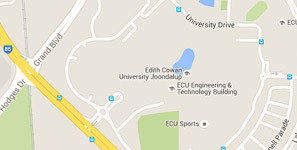 Bachelor of Nursing, Edith Cowan University, 2007. Doleman, G., Geraghty, S., De Leo, A., (2019), Midwifery student's perceptions of caring for substance-using pregnant women. Nurse Education Today, 76(5), 26-30, UK, Churchill Livingstone, DOI: https://doi.org/10.1016/j.nedt.2019.01.027. O'Connor, A., Geraghty, S., Doleman, G., De Leo, A., (2018), Suicide ideation in the perinatal period: A systematic review. Mental Health And Prevention, 12(December 2018), 67-75, Germany, Elsevier, DOI: 10.1016/j.mhp.2018.10.002. Geraghty, S., Doleman, G., De Leo, A., (2018), Midwives’ attitudes towards pregnant women using substances: informing a care pathway. Women and Birth, 31(6), 349-355, Australia, Elsevier, DOI: 10.1016/j.wombi.2018.09.007. Doleman, G., Duggan, R., Boldy, D., (2014), An exploration of nursing research perceptions of registered nurses engaging in research activities at a metropolitan hospital in Western Australia. Collegian: The Australian Journal of Nursing Practice, Scholarship and Research, 21(3), 225-232, Netherlands, Elsevier BV, DOI: 10.1016/j.colegn.2013.04.006.